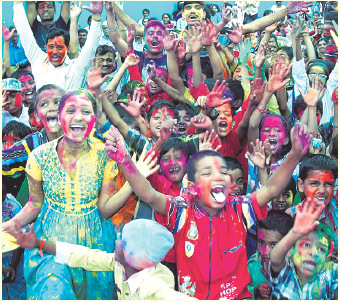 The festival of colours- Rang Panchami was celebrated enthusiastically by Nashikites on Friday. However, police kept a strict vigil ensuring no violations of model Code of Conduct (CoC), leading the people and specially the leaders to celebrate the festival cautiously. Not just the small children and youngsters but even seniors from all castes and creed enjoyed the festival by applying gulal and other colours to each other sending the message of unity among the society. Children were seen playing water colours with special toy pichkaris of interesting cartoon characters of varied sizes and colours. Youngsters too were seen enjoying the festival in all parts of the city. Music was being played on DJs and young boys as well as girls were seen dancing while playing colours. The traditional celebration took place at Rahads (specially constructed huge pits filled to the brim with water colour) in Shani chowk and Dilli Darwaja. 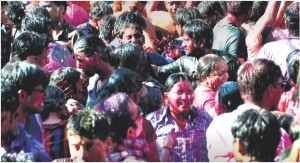 While giving a modern touch to the festival, water showers were set up at Main Road, Gadge Maharaj statue, Sakshi Ganesh temple, Rokdoba Talim, Gulalwadi and other parts of the city, for the people to enjoy. Notably, none of the youngsters anywhere in the city were seen harassing the passers-by while playing colours, informed police sources. Police bandobast was kept all over the city to avoid any untoward incidence. Cases were registered against about 34 persons for varied reasons like drunken driving, creating ruckus, beating-up each-other over minor issues while celebrating and more than two people riding two-wheelers. Mahindra & Mahindra in association with Yash Foundation, Nashik organized a Rangpanchami celebration for people and especially children living with HIV at Hotel Gamat Jammat, Gangapur Road. As many as 300 HIV positive people and children participated in the celebration with their families. 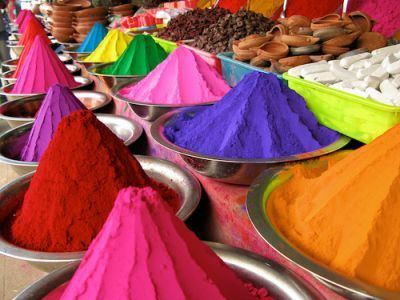 The festival brought colours of happiness in the lives of these people. “We are all here to support each other in every possible way. We believe we are a big family. 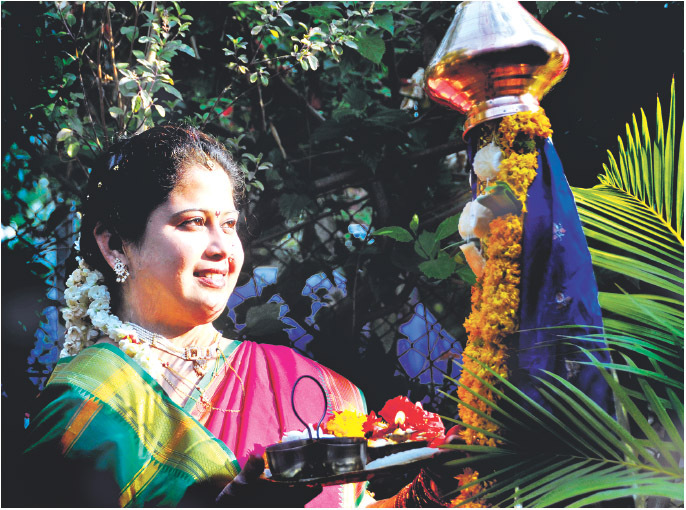 Such celebrations give us an opportunity to come together, put our worries behind and enjoy the moment. Mahindra & Mahindra along with Yash Foundation are helping us to develop a positive attitude towards life” says an HIV positive member. Officer of Nashik Municipal Corporation Vijay Pagar, Kamlakar of Mahindra & Mahindra also participated in the programme to boost the confidence of people living with HIV. The program was conducted with the support of officials of Mahindra & Mahindra Namdeo Yelmame, Yadav, Nikam and volunteers of Yash Foundation.